Due out in early February in Japan. 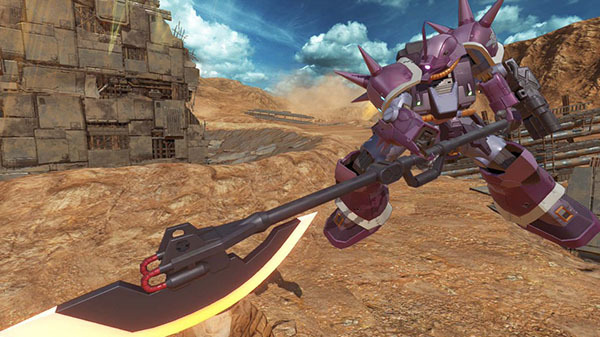 Bandai Namco has released screenshots of the recently announced Efreet (Schneid’s) and Gundam Pixie (Fred’s) downloadable content Mobile Suits for Gundam Versus. As previously announced, both Mobile Suits will launch in early February in Japan for 602 yen each. Gundam Versus is available now for PlayStation 4 in the Americas, Europe, and Japan.